PRODUCT: #P12SS, P-12 Series Staples, 7/8 Leg X 1" Crown (Wide Crown), 16 Gauge, 304 Stainless Steel. 5000/Box. Price/box. APPLICATIONS: Roofing & exterior fastening, etc. 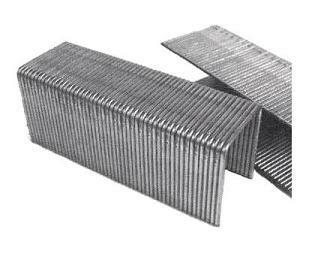 P-12, 7/8 Leg x 1 inch Wide Crown Staples, 16 Gauge Galvanized, Senco Type. 10,000/Box. Price/Box.